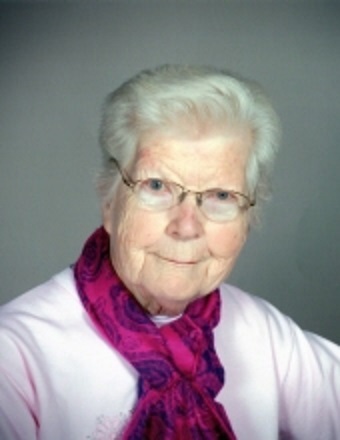 Marie Agnes Beck, 90 of Clinton formerly of Bloomington, passed away on Sunday, March 17, 2019 at Liberty Village, Clinton. Marie’s service will be held on Wednesday, March 20, 2019 at 11am at Calvert & Metzler Memorial Home, Bloomington. Burial will be held at 1pm at Grandview Memorial Gardens, Champaign. Visitation will be from 10-11am at the funeral home on Wednesday. Memorials may be made to the American Heart Association or the Alzheimer’s Association. Marie was born on July 23, 1928 in Bement, Illinois. She is the daughter of Edward Francis and Catherine Tucker Foran. She married Frank Dwight Beck on October 22, 1949 in Bement, Illinois. He preceded her in death on April 8, 2013. Marie is survived by her daughter, Kelli (Albert) Becker, The Colony, TX; daughter-in-law, Lori Beck, Normal; grandchildren, Melissa (Phil) Canazo, Jason (Ashley) Becker, Travis (Abby) Beck, Zachary (Christin Ross) Beck, great-grandchildren, Patrick Becker, Layton Becker, Domanick Watts, Vincent Canazo, Gianna Canazo, McKenzie Fawns, Emma Beck and Branden Beck, and a sister-in-law, Claudette Foran, Bement, Illinois. She is preceded in death by her parents, her son Kevin Beck and 6 brothers. Marie graduated from RN training at Mercy Hospital in Champaign. She worked as an RN for State Farm Insurance Company and later worked and retired from OSF St. Joseph Medical Center, Bloomington. She was a member of Holy Trinity Catholic Church, Bloomington. Marie was a loving wife, mother, grandmother and great grandmother and will be dearly missed by all who knew her.